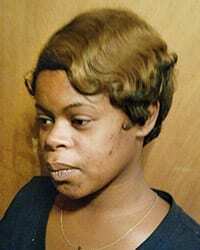 MEMPHIS, TN — Tears streamed down Terrika Gray’s cheeks as she recounted the predicament that haunts her at every turn. The arrival of the New Year didn’t make it any better. A single mother with four children, Gray is losing hope trying to find permanent housing, food for them to eat, and daycare to send the youngest two so she can work to earn a living. Gray’s efforts to overcome her misfortunes fell short during the past year. If good fortune doesn’t smile on her this year, a grim reality awaits and the prospect of losing it all seems likely. Gray has already exhausted the assistance she was getting from Aid to Families with Dependent Children (AFDC), a federal assistance program for low-income families. Five years, or 60 months, is the maximum benefit period. But that’s not possible, given Gray’s inopportune circumstances, which began three years ago. And those circumstances seem to multiply. Now hard times keep nipping at her fragile state of mind. Gray was staying at a hotel at the time and needed a break to find a way to avoid long-term homelessness. His death, she said, occurred two months after Ta’Leah’s father became disabled. So the help she expected from both fathers just didn’t pan out. With nothing but Food Stamps to live on, Gray has moved around so much until the principal at KIPP Elementary asked her to sign a contract promising not to take Taureon and Tavion out of school before the school year ends. Gray and her children were staying at Elvis Presley Boulevard Inn when she broke the law. Since then, a judge has issued a warrant for her arrest at least seven times, she said, for violating probation. As a result, her job prospects are limited. If she lands a job, she can’t keep it, even after she explains her dire situation. “I want to work. I want to take care of my own kids,” she said matter-of-factly. But then, she added, the rules didn’t allow her to job hunt and tend to her children during the day. Again, there was no money to pay a babysitter, which is the gist of her problem. Gray couldn’t get lights turned on in the duplex either, because she still owes MLGW. The landlord, who lives in Indianapolis, had advised her to use someone else’s name. But the utility wanted the landlord to come in to the office. He refused and threatened to evict Gray. McDonald’s on Jackson was a temporary pit stop for Gray during this time. She worked there two weeks and quit. Meanwhile, her cupboard was bare and cold weather started sweeping through the decrepit duplex. With desperation now setting in, Gray called Wanda Taylor, CEO and president of Ladies In Need Can Survive, Inc., a transitional home in Frayser for troubled women. But LINCS is not set up to take in mothers and their children, only mothers seeking help for their addictions. “Even though I couldn’t house her, I still reached out to help,” said Taylor, who notified MIFA and called a friend. Both resources led to Gray and her children spending two days in a hotel. Taylor also purchased three-days worth of groceries and ice for Gray, who stored the perishables in an ice chest in the chilly duplex. “All the emergency shelters are full,” said Taylor, using all the resources at her disposal to help Gray. But Gray’s predicament is still haunting. Gray graduated from East High School in 2010, then enrolled at Southwest Tennessee Community College to study nursing. She also studied for a nursing degree at Concorde Career College in 2012. Previous articleWill We Ever Get Environmental Justice?